What’s “in-season” for January. This is produce that’s generally less expensive in the grocery stores right now. If you’re able, it’s a good time to buy excess to can,freeze,or preserve. 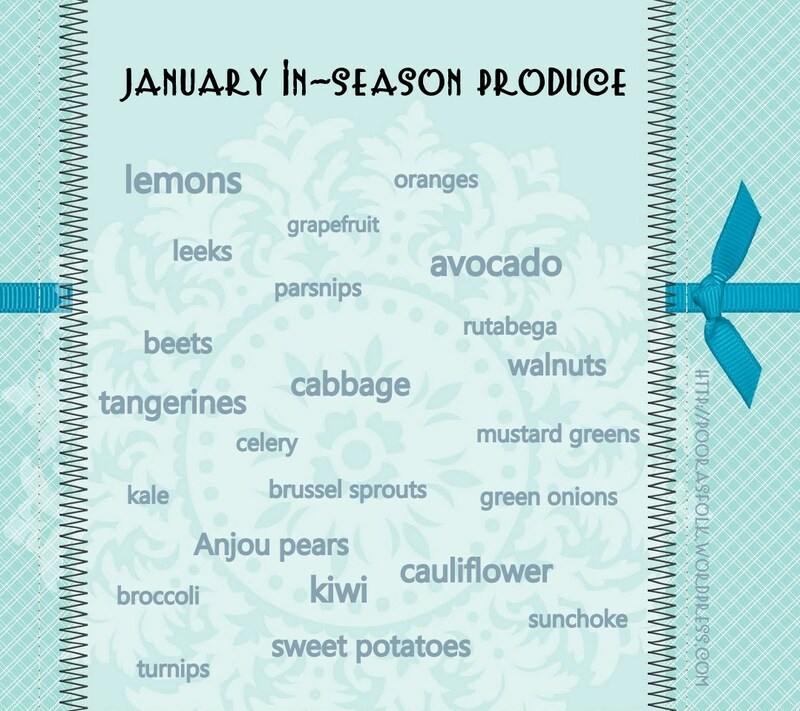 An awesome produce chart for January from the blog Poor as Folk. Also not only is produce cheaper that’s in season, it is at the peak of its growing season and tastes better.